No visit to Cambodia would be complete without a visit to the majestic temples of Angkor Wat. However this amazing country offers so much more that is just waiting to be discovered. We thought we would give you our top 10 places and things to do. This is such a culturally rich and diverse country that it is difficult to narrow it down to 10 but here goes. These tropical sister islands are a short ferry ride from the coastal town of Sinanouk Ville and offer something for everyone no matter your budget or style of travelling. Snorkel over beautiful reefs, find a deserted beach or wander through the rain forests in the hinterland. If you are looking to party stay in the many guesthouses in Koh Rong’s main village or both Koh Rong and Koh Rong Sanloem have some delightful resorts located on often deserted beaches away from the crowds. This is a great place to unwind and relax. r list of places to visit. 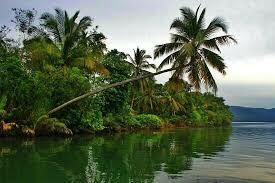 With much of the area untouched by development it is starting to be discovered by visitors and with good reason. Located in the northern part of Cambodia this province is home to stunning jungles, cascading waterfalls and a number of ethnic groups still very much living a traditional way of life. With its cooler climate it is a great escape and worthy of a few days exploration. A must do is a visit to the Mondulkiri Project which is an elephant rescue and rehabilitation centre located in a stunning jungle setting and supporting the local indigenous tribes. Spend the day interacting with the elephants including bathing and washing them in the stream that runs through this protected natural habitat they now call home. he island of Koh Trong and with its flat terrain hire a bike and explore this beautiful island with its rich fertile farms and traditional houses. Known best for the place to spot the rare and endangered Irrawaddy dolphins, Kratie is also home to a number of fine temples and sunsets on the river are simply divine. It is hard to comprehend that these smiling friendly people experienced such a brutal recent history. 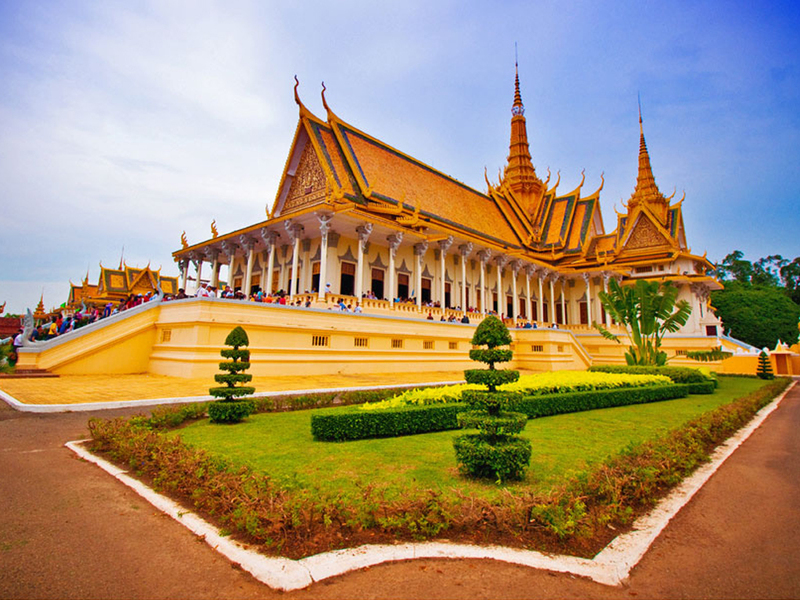 To honour those lost to this tragic period you must visit these two world class memorials located in Phnom Penh. The Genocide Museum or Tuol Sleng (S21) was a place of horrific torture where over 15000 people were “processed” before been sent to the Killing Fields. In our Tour of Remembrance (http://www.greenculturaltravel.com/product/tour-of-remembrance/) we follow their final journey onto the Killing Fields which is now a confronting but also tranquil place where so many people lost their lives. In our private day tour we end with a visit to a local temple for what we call a cleansing ceremony as a way to honour those lost. isiting this bustling vibrant city. With their stunning architecture, stupors and artwork they offer a glimpse into the history of this ancient civilisation. We have included the sprawling Wat Ounalom complex as it is home to a large number of Buddhist monks and it is a great way to see them in their daily lives. 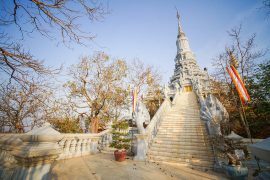 Located in Phnom Penh and a short drive from the tourist precinct followed by a ferry crossing on the Mekong this is really like stepping back in time. With its traditional housing, fertile farm lands and welcoming people these tropical river islands are a great escape from the bustle of the city. This place is dear to our heart as it is home to Coconut School which is a unique school much of which was built from what many consider rubbish and is playing an important role in providing much needed supporting education for the local children. It is a project we support with a percentage of all online sales donated to help with the running costs and ongoing building works. Located on the south coast and about 25km apart we highly recommend you include a few days staying in one of these beautiful towns and exploring these provinces. 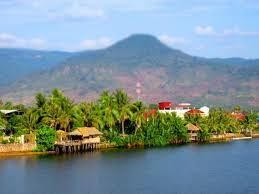 the pepper farms that Kampot is world famous for. With accommodation to suit all budgets and tastes this is a great alternative to the busier Sihanouk Ville. One of the few rivers that reverses direction from the dry season to the wet season it ultimately ends it journey in Phnom Penh. 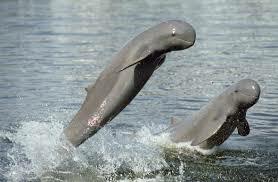 However it begins as a mighty lake which forms part of the UNESCO Biosphere Reserve. This lake in the wet season covers some 15000 km2 and with its diverse flora and fauna plays a vital role to the many people that call this area home. 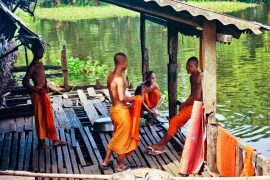 We highly recommend when you are in Siem Reap to visit one of the floating villages to discover a traditional way of life that revolves around and is reliant on this unique body of water. The Second largest city in Cambodia and known amongst other things for its fine collection of French colonial architecture this is a great place to break your journey from Siem Reap to Phnom Penh. Ride the bamboo train, take in stunning ancient temples, caves and so much more. Again a great alternative to the other busier tourist centres we think a few days exploring this city and province is a must do. In the wet season you can take a boat from Siem Reap on the majestic Tonle Sap. 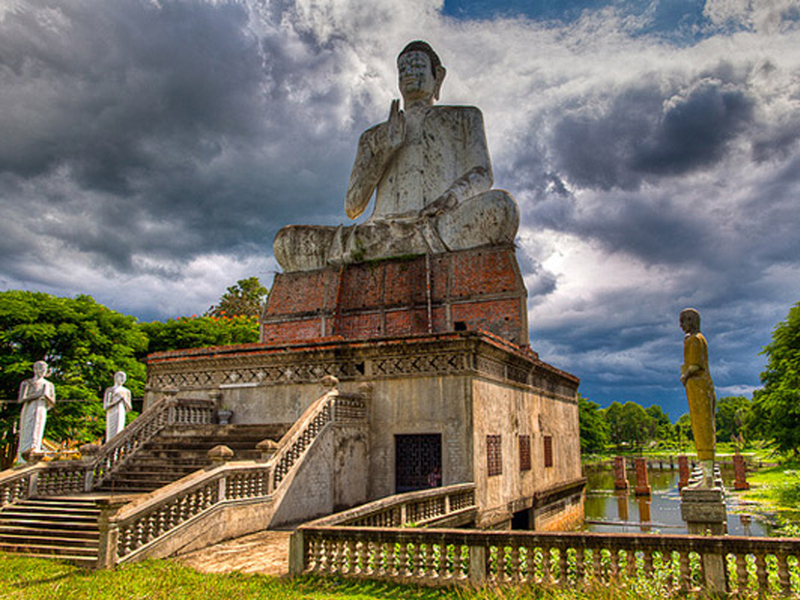 So that is our top ten list for what we think are must do things when planning your discovery of Cambodia. Check out our website at www.greenculturaltravel.com for a great selection of private packages and day tours and we look forward to seeing you when you are ready to visit this vibrant country.